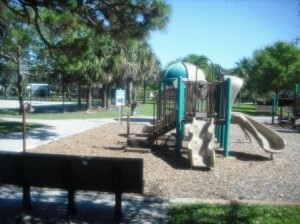 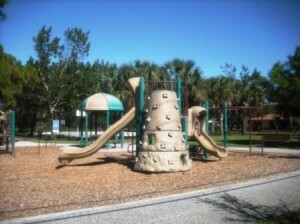 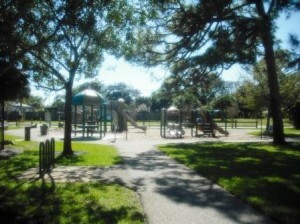 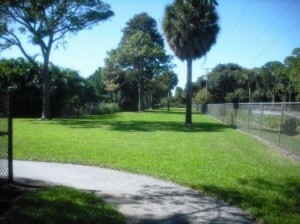 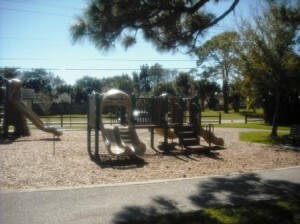 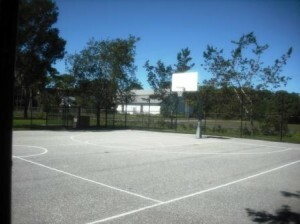 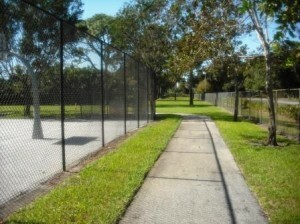 Situated just one block west of Military Trail in a seemingly quiet West Palm Beach residential area, Old Trail Park offers enough amenities to keep your children active and happy. 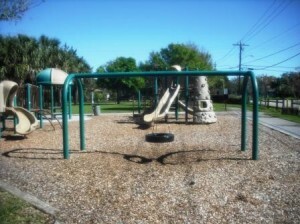 Clean and very well maintained, kids 2 to 12 can select from a number of play structures as well as the always popular tire swing. 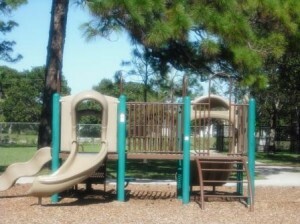 In this park, mulch is used for safe play area. 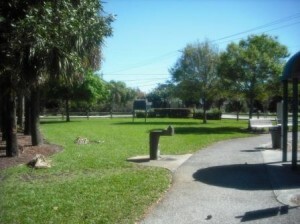 There are several benches all around with water fountain and a few shade trees. 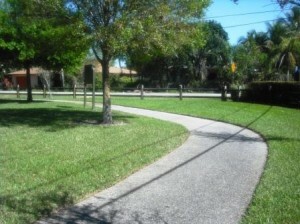 A nice paved walking/biking path goes all around the park and a small grass area to run around. 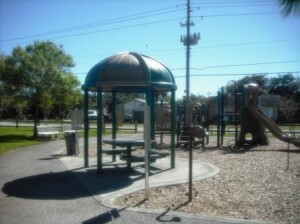 There’s also a basketball court and a covered picnic table however there are no restrooms at this location. 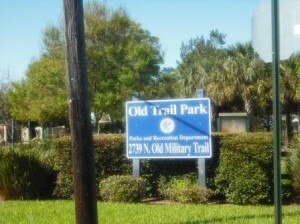 Easy off street parking, Old Trail Park is a nice little neighborhood park perfect to walk your kids to for a couple of hours of fun.